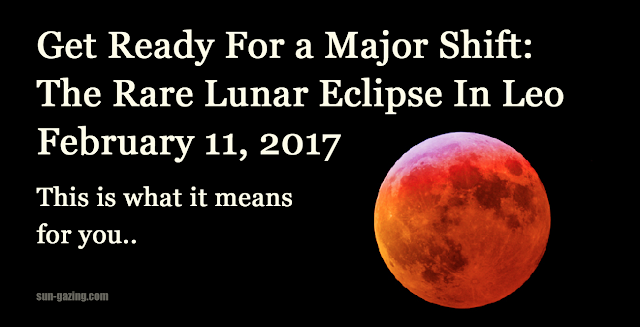 (Sun Gazing) This coming Friday, on the night of February 10-11, there will be a special lunar eclipse taking place on a full snow moon. The eclipse will be visible for those in North America, Europe, Africa, and most of Asia, so sky gazers across the world can look up to watch it, weather permitting. During the eclipse the moon will appear to be cast in subtle, silvery darkness, as the Earth’s shadow falls upon it. Lunar eclipses occur when the sun, Earth, and moon all line up in that respective order. As the moon passes behind our planet and enters into the Earth’s umbra, its shadow, the resulting alignment causes the shadow to fall upon the moon, making it noticeably appear a few shades darker. However, since this lunar eclipse is penumbral, rather than total or partial, the moon won’t actually enter the umbra. Instead, it just barely misses the Earth’s strong inner shadow and as such will be immersed in the outer weaker portion of the Earth’s shadow, which is called the penumbra. That’s why this eclipse will be much subtle, as compared to a total or partial lunar eclipse. From a historical perspective, the full moon in February is traditionally known as a snow moon because the month is often both the coldest time of year and when snowfall tends to be the heaviest. However, what is even more interesting are the astrological implications of this month’s full snow moon and lunar eclipse taking place in Leo. The celestial events usher in a time for changes and new beginnings and the resulting shift in energy will have a profound impact on people’s lives. So while this month’s beautiful eclipse may be fleeting, in the weeks and months ahead you will end up feeling its effects in a very meaningful way! Many of us will find a renewed sense of purpose and direction within ourselves, the type of which has been lacking in our lives lately. Eclipses are always times of powerful change and this one is highlighted by the fact that it occurs in Leo. As such, the fiery, passionate, dominant characteristics of the noble and courageous leader that Leo embodies will be at the forefront of even the most timid person’s personality. When the influential traits of Leo are combined with this new sense of purpose, expect a lot of people to finally take back control of their lives and futures. On a related level, many of us will also begin to stop caring so much about what other people think of us and the decisions we make. We will let go and simply trust in the path we are choosing to push forward on. Where in the past we’d be held back by opinions and judgments coming from others, such things will no longer have any negative or preventative effects on us. With the shift in energy comes a shift in our thinking and we’ll start deciding things on our own, for ourselves. Some people will be more confident and conscious of their choices. Whether it be a major life decision or a seemingly inconsequential one, they will go with their gut feelings and stick with whatever it is they decide. This will be due in part to a major re-focus in our self-awareness and a more balanced, internal centering that we will turn inwards on ourselves. As a result, we’ll be entering a much happier and more enlightened phase of our lives. A lot of us will find that things are finally coming to an end and are being completed. This is a very broad and general effect lunar eclipses always seem to usher in, and as such the sense of finality may appear in essentially any area of our lives. It may manifest as a relationship that has finally burned itself out and now you can move on from it, or perhaps you’ll wrap up a project that you’ve been working on for ages. Regardless of where these endings occur, they will mark the last of things which are over and done with! It always feels good to say goodbye and now you can move on to bigger and better things. Those are just a few of the stronger effects that the full snow moon lunar eclipse may have on any one of us. Overall, the lunar events mark the beginning of a number of transformations that we will each go through in the year ahead, and it has only just gotten started! This post was republished from sun-gazing.com.